Cambodia Vision’s Melbourne Fundraiser Night will be held on Friday the 30th of September 2016. We invite you for a fabulous evening of dinner, dancing and entertainment at the Anabella Reception in Clayton, Melbourne. 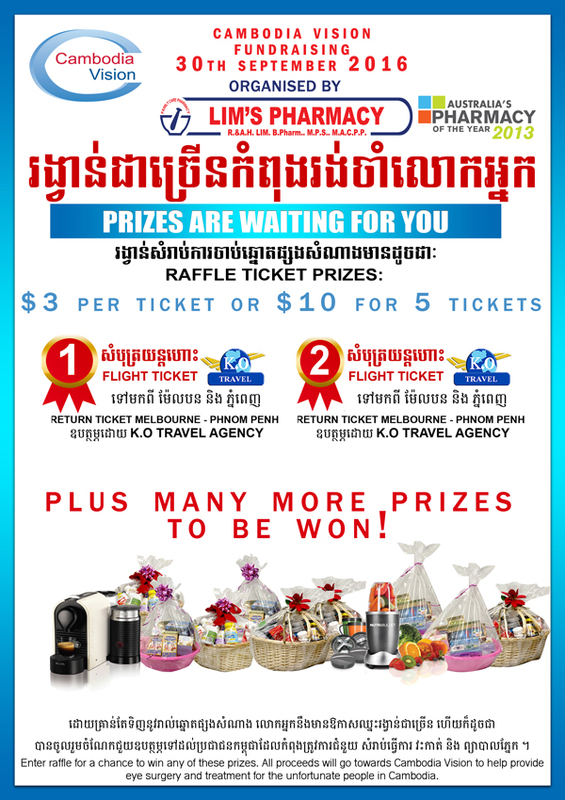 Highlights of the night will include raffle draws and performers and singers from Cambodia. Funds raised from the evening will go towards restoring eye sight, hearing and basic medical care to those in need. Venue: Annabella Reception: 705-707 Clayton Road, Clayton. Tickets: $60 each plus receive a free gift to the value of $30! If you would like to make any general donations please contact the Melbourne sponsors above.